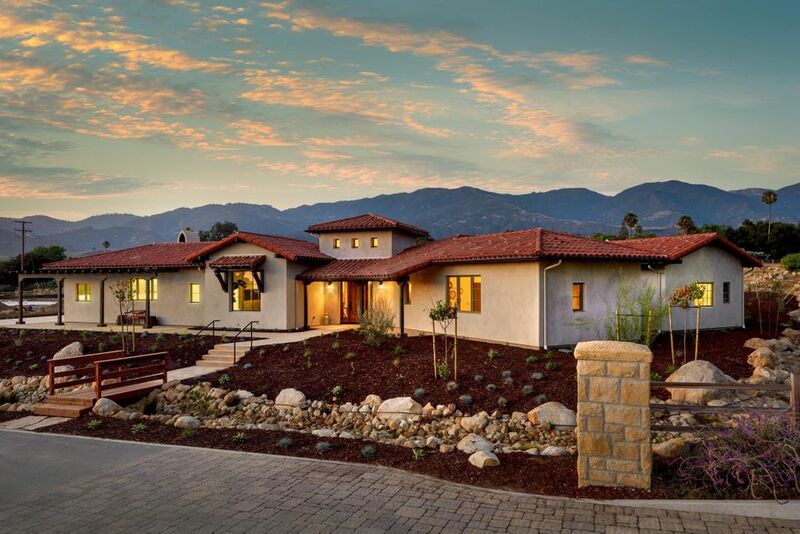 An exquisite estate set in the foothills of sb. Located in san antonio creek, this brand new home offers purposeful design and open, spacious living in over 4,000 sq ft. A modern ranch exterior and gorgeous interior with single level living and views in all directions. The gourmet kitchen opens to a large family room with nano doors and a breakfast room. Other features include a formal living and dining room with a butler's pantry. The spacious master suite offers huge spa bath and elegant dual closets. Don't miss the roof top deck with fireplace showcasing even more spectacular views. * please note this new street is not mapped yet. Put 4700 via los santos into gps. Located in the san antonio creek neighborhood and highly-desirable mountain view school attendance area, this single level spanish home was designed by bob easton and built in 2015 with some of the finest materials. 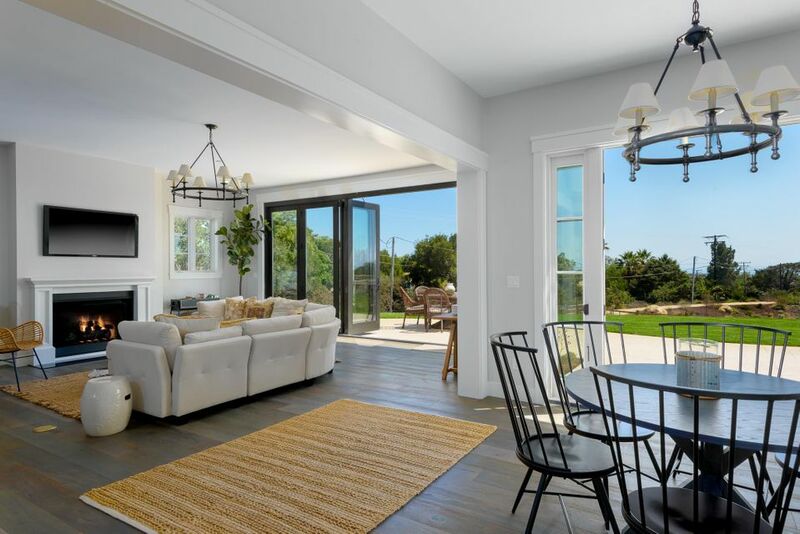 The light and airy interior perfectly complements the expansive exterior living areas of the home, which feature views of the ocean and mountains. As one enters the residence, they are sure to take notice of the stunning italian ceramic tile floors and distinct spanish arched doorways, which are found throughout much of the home. An impressive great room with vaulted beam ceilings has a large living room with stone hearth and formal dining room with doors leading to a lovely courtyard with fountain. 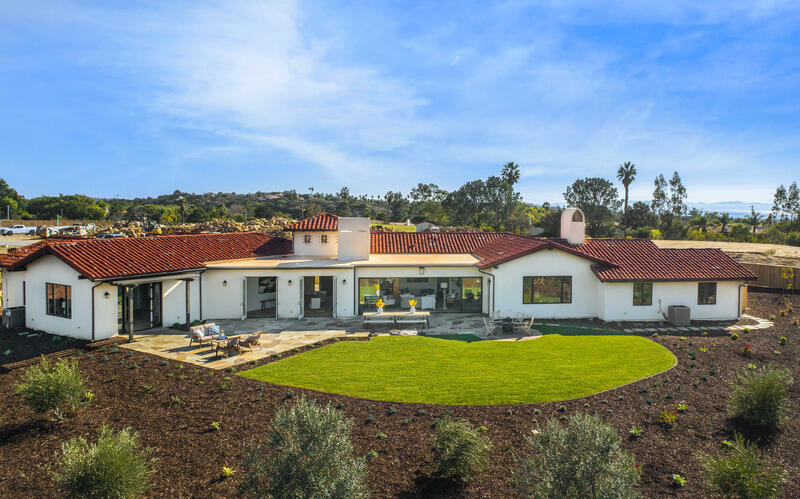 Follow the flagstone entry though the 18' clerestory foyer, and experience this stunning custom santa barbara contemporary spanish-style home. Set privately at the end of a cul-de-sac, this estate home enjoys expansive, uninterrupted views of the santa ynez mountains from almost all rooms. The open space floor-plan epitomizes ''great-room'', with a large gorgeous gourmet kitchen, family room and living room--without separation, allowing for true living and entertaining flexibility. 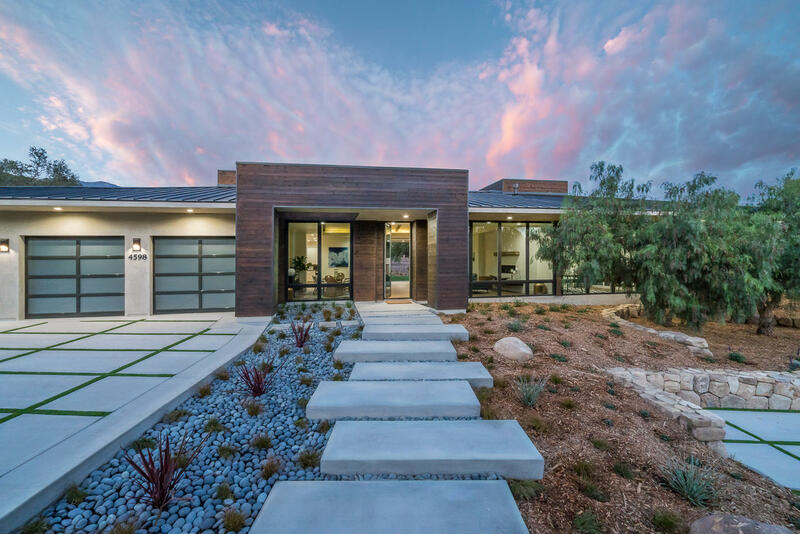 Thoughtful, luxurious touches throughout include european white oak floors, quartz and granite counter-tops, marble back-splash, and floor-to-ceiling stacking glass doors that allow for seamless indoor/outdoor living. 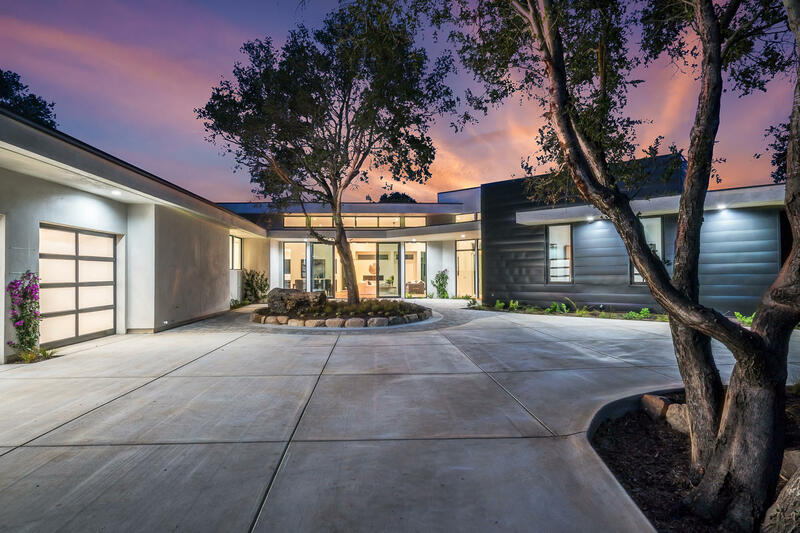 The woods is a luxurious collective of four newly built modern estates, each on over 1-acre of land in the coveted mountain view school district. The olive estate is the largest single-level floor plan w/ 4 beds & 4 baths & over 3600 sf of finely appointed living space with stunning mountain & island views. The dramatic great room enjoys a 14 ft tall vaulted ceiling & a 24 ft pocketing wall of glass doors providing seamless access to the loggia, backyard & optional pool/spa. The gourmet kitchen is a perfect blend of modern function & subtle luxury w/ its large carrera marble island and wolf & subzero appliances. The 800+ sf 3-car garage offers plenty of room for parking & storage. Nearby access to world class amenities include beaches, shopping & dining, 12 golf courses, & 100+ wineries! 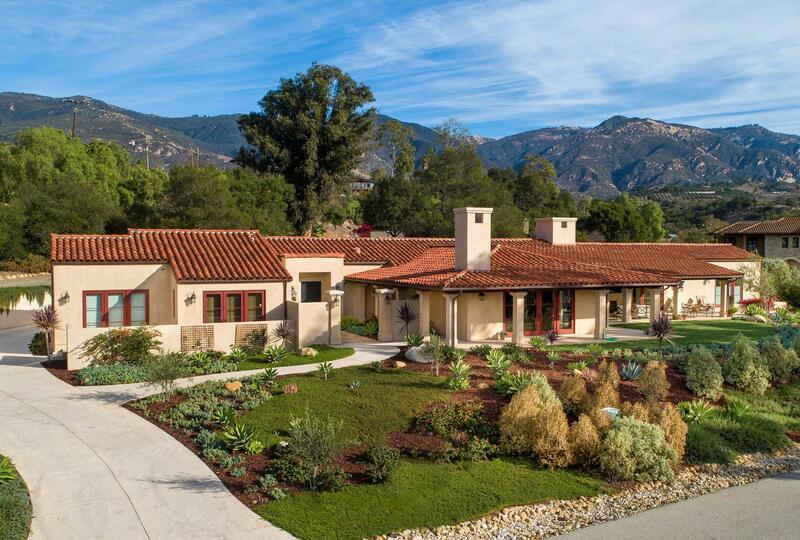 One of 15 exquisite estates set amongst the foothills of santa barbara. Complemented by beautiful open space and partial ocean views, these properties give coming home a whole new meaning. 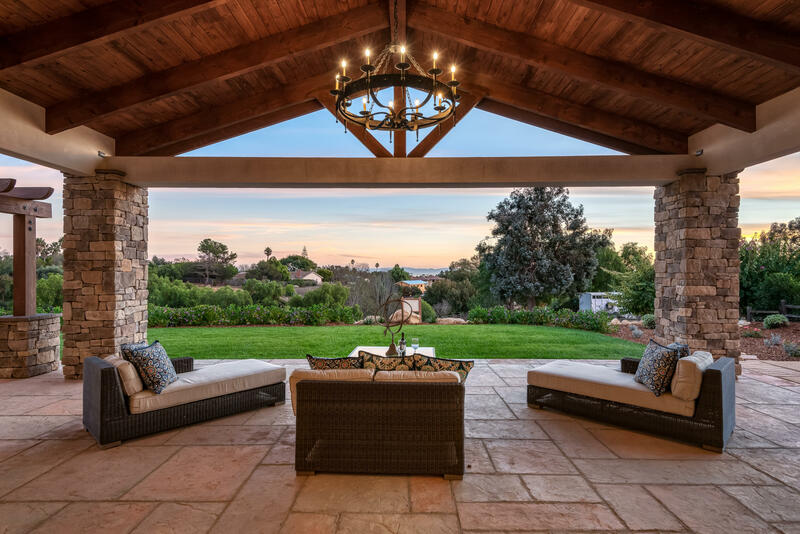 This santa barbara traditional spanish architecture offers single-level living, great room design, informal breakfast room as well as formal dining and living rooms. Separate bedroom wing designed with 3-bedroom suites including master suite with attached den/office, stunning foyer highlighting clerestory windows and generous room sizes are found throughout the home. Enjoy morning sunrises to the east and evening mountain vistas to the north. * please note this new street is not mapped yet. Put 4700 via los santos into gps. Fabulous rebuild completed late 2018! 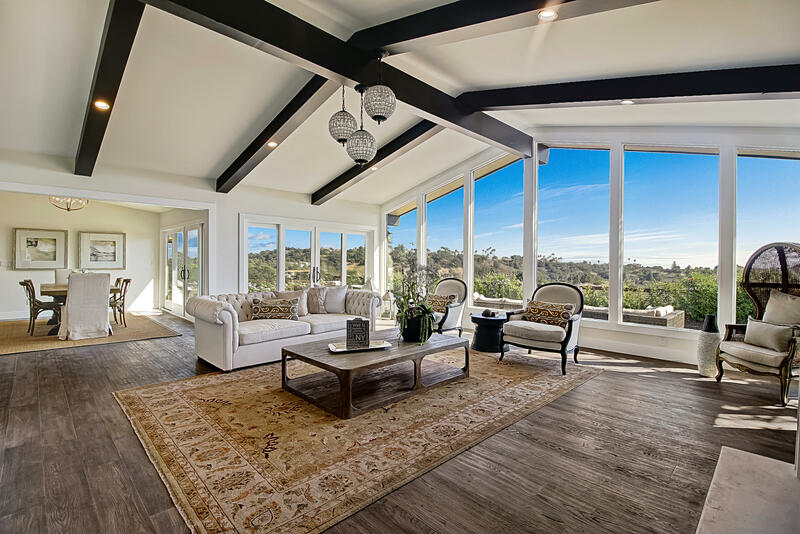 This stunning santa barbara spanish home located in the prestigious park highlands area has been completely rebuilt and offers sweeping ocean, valley and mountain views. It has been exquisitely designed with 5 bedrooms and 3. 5 baths, including the gorgeous master suite. The floor to ceiling windows in the living room and numerous skylights, allow light throughout the house. This single story home with an open living floor plan includes a beautiful kitchen with professional bertazzoni appliances, hardwood floors throughout the primary living space, elegantly tiled marble bathrooms, custom designed plaster fireplace, new plumbing, electrical, heating, dual-zoned a/c system and large 2 car garage.